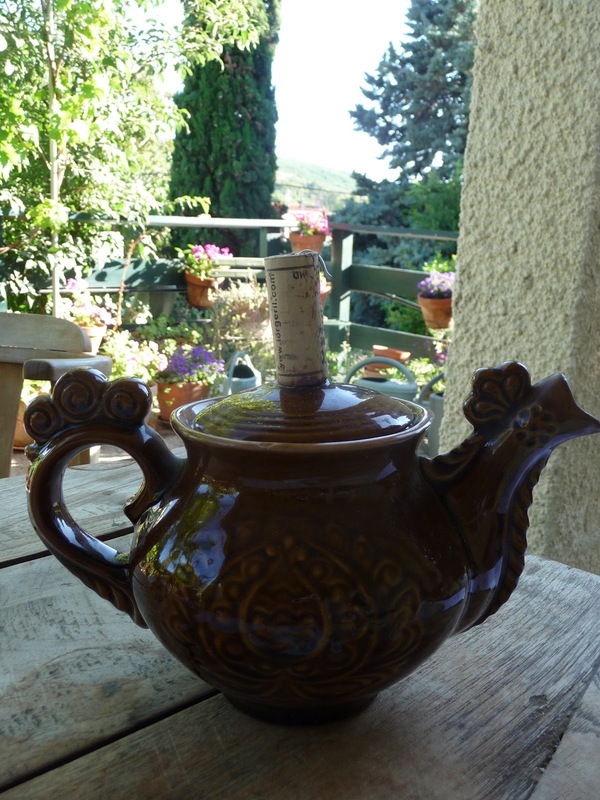 Not quite . . .our fave teapot from, can't remember which V.G lives again. 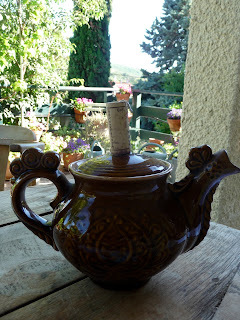 It's lid knob has been re-glued about eight times, and the superglue cost versus saving teapot equation was no longer valid. two corks and a piece of wire . . .ta dahhh!